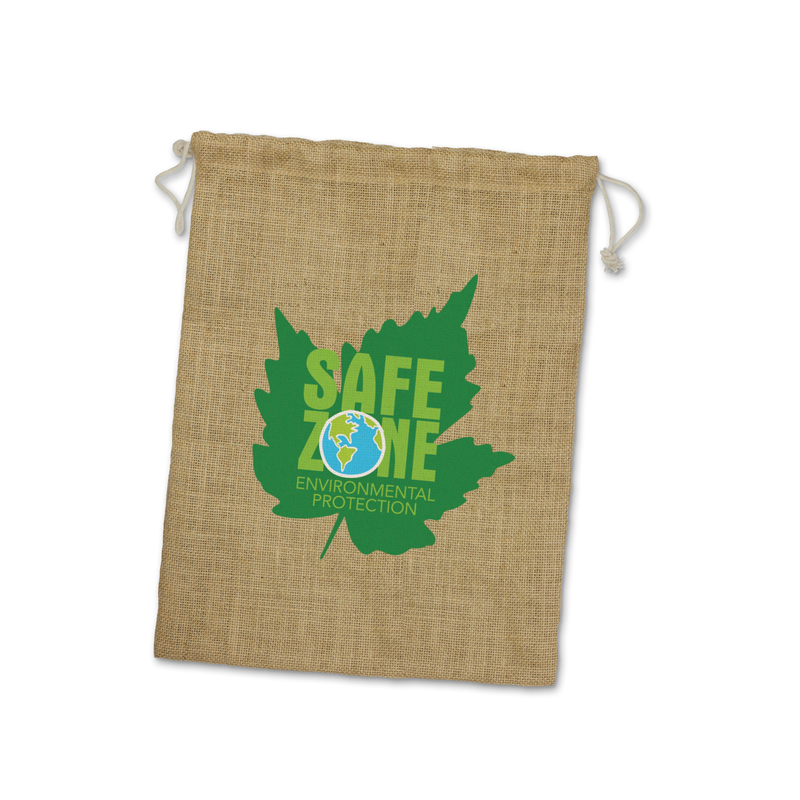 A large sized jute gift bag that will fit a lot inside. 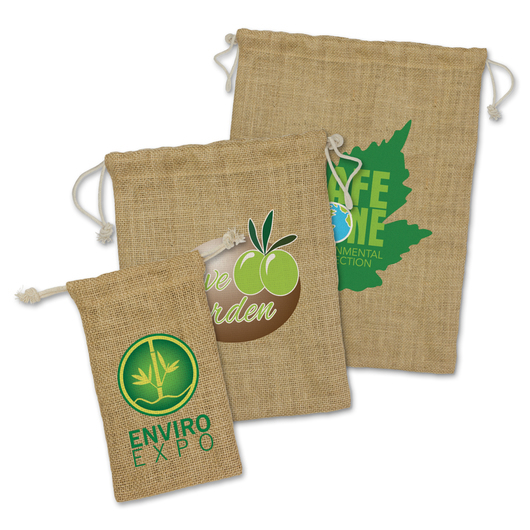 Impress with some of these large sized jute drawstring gift bags. They're environmentally friendly, have an excellent branding space and cotton drawstrings for easy opening and closing.